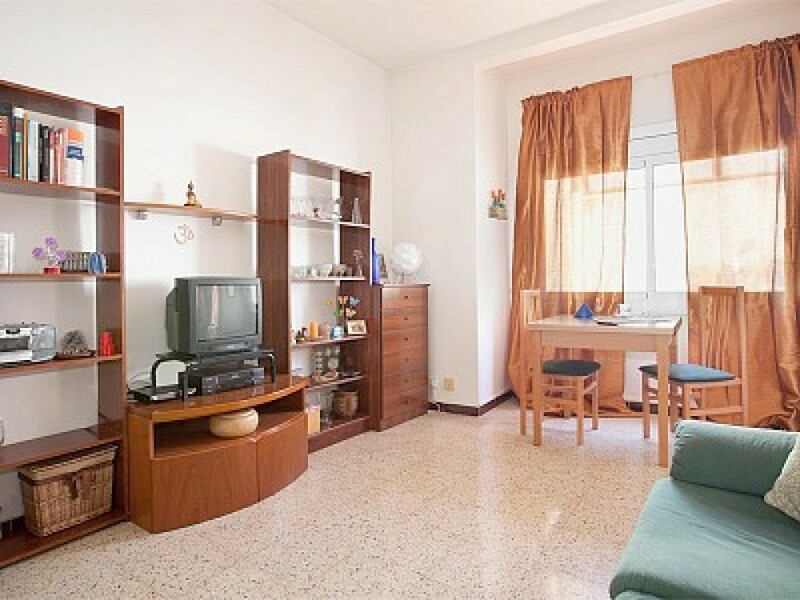 This cozy apartment is located in Les Corts neighborhood. It has been restored and furnished with modern style, it can accommodate 5 people. It has a single room with large closet; the second room has a double bed and two single beds. The lounge is spacious and has a comfortable sofa, enjoy Air conditioning and WiFi or watch TV. The apartment has a dining table and kitchen is fully equipped with necessary appliances than you can need, like, pans, crockery and cutlery. This apartment is ideal for a family, group of friends or colleagues who wish to visit the city of Barcelona. This apartment has everything you need to comfortably enjoy your visit to the city at any time of year. $ Damage deposit is 200€ Damage deposit will be returned to you the last day of your stay. $ Tourist tax 0.72€ per night per person. Cleaning fee is required. Cost 70€. Additional guests: 10 � /person/night � required, Fee applies to parties of more than 2 guest(s) THE MONEY HAS TO BE GIVEN IN CASH THE DAY OF THE ARRIVAL Check in starts at 15:00 Check out before 11:00 Late check in after 20.00-30 �, after 23.00-50� We�ll meet you in the apartment.